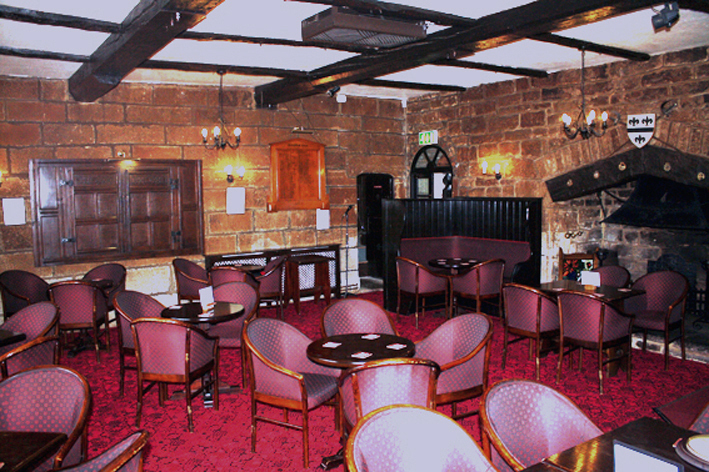 The Club welcomes new members and can be hired for functions such as parties, weddings, christenings etc. 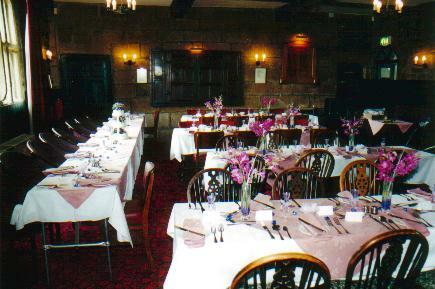 We have our own Chef who provides Sunday lunches and caters for functions. 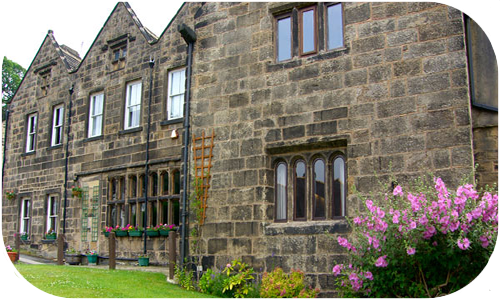 We have a full range of events, Theme Evening Dinners, Music Nights and our Wednesday Night Quiz and Supper is very popular. 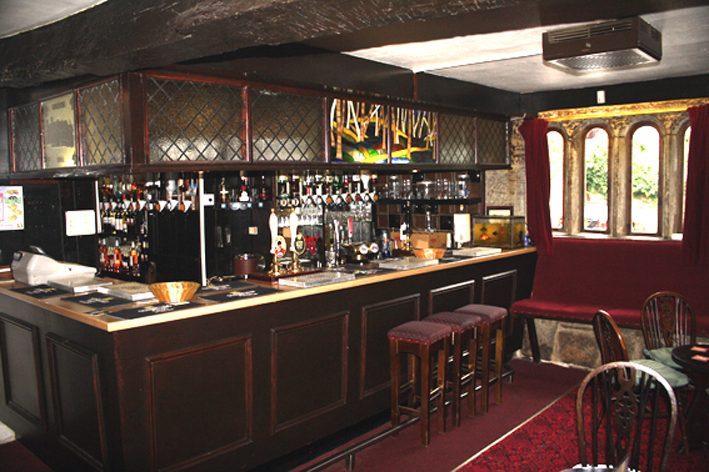 The bar serves an excellent choice of drinks with traditional cask beers. 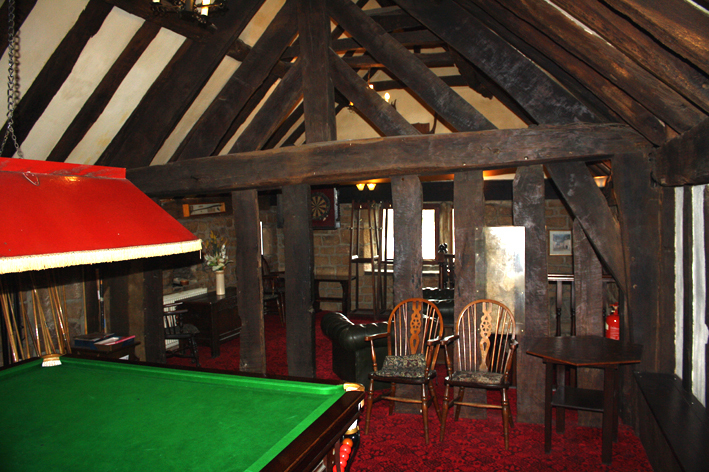 Dominated by the 10ft stone fireplace which looks very cosy in the winter with log fires. 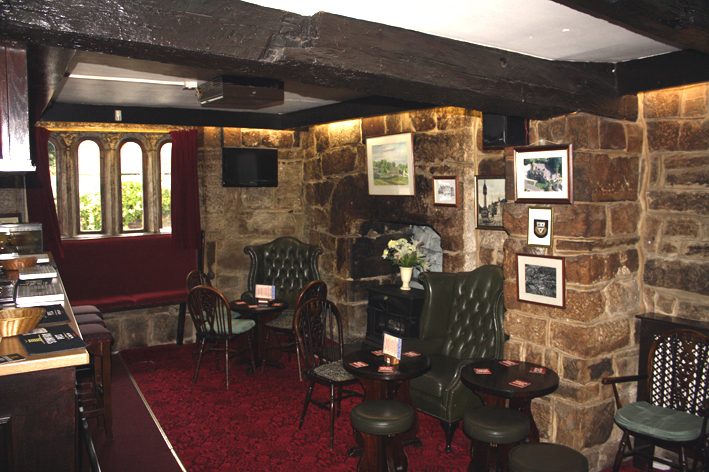 The lounge is a comfortable place in which to have a drink and meet friends. The cupboard door mounted on the wall bears the carved initials of Francis and Jane Baildon and was used as a livery cupboard. Converted from a small room previously used as a card room, here again the fireplace was hidden behind a small tiled fireplace. The bar was opened by Freddie Trueman in a grand opening ceremony. 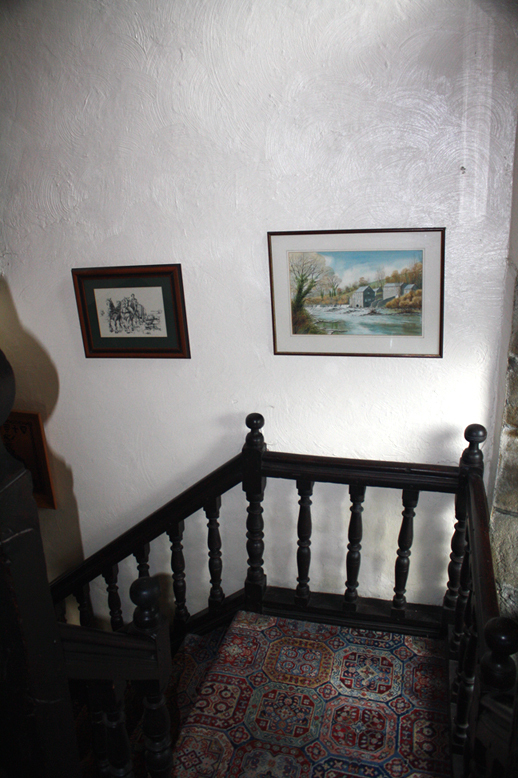 Used mainly as a dining area this was formerly the Manor House kitchen. 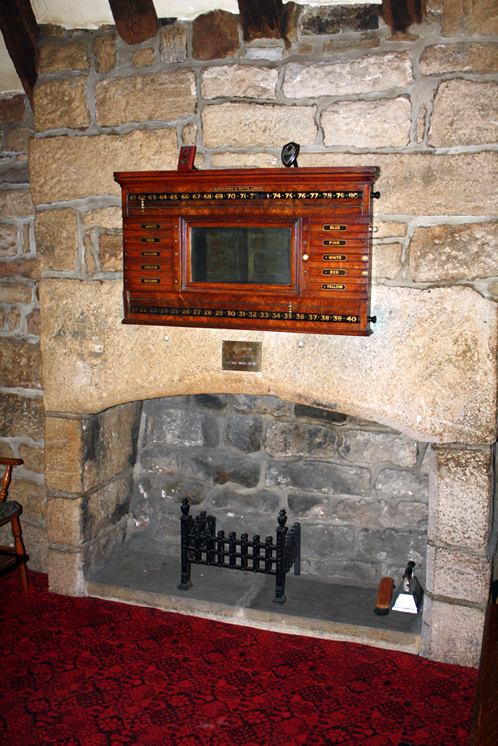 The fireplace was uncovered during the restoration work in the 1960s. 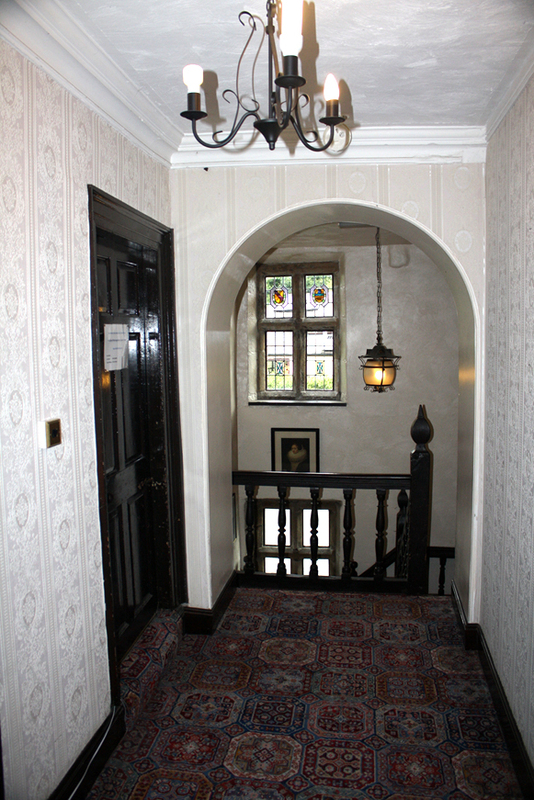 Famous for the ornate carved plaster ceiling and oak panelling. Francis Baildon’s initials are on the cornice and the panelling was brought by his bride Jane Hawksworth on the occasion of their wedding in 1649. It has been suggested that the carved faces or grotesques on the ceiling amidst the oak leaves and acorns are effigies of King Charles 11, designed by Francis in a fit of pique at not being knighted with the Order of the Royal Oak in 1660. 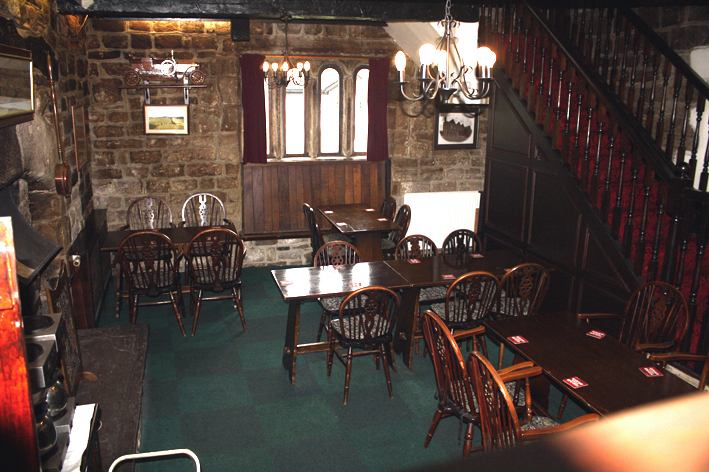 This room is an ideal venue for small functions and meetings. 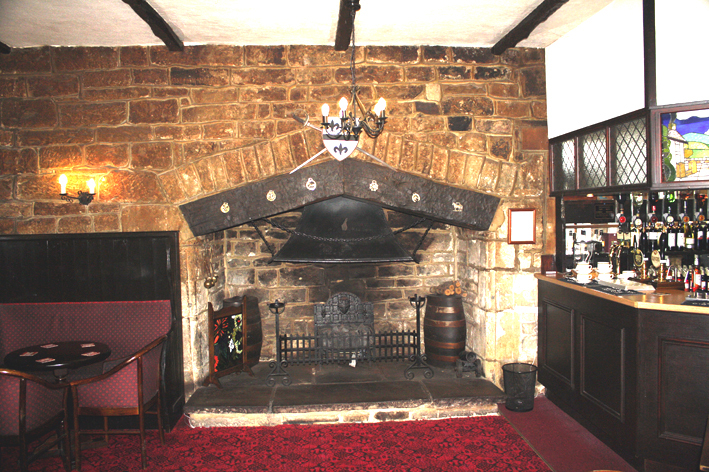 Originally a timber framed, wattle and daub plastered Mediaeval Solar wing, encased in stone in 1673. The huge beams were uncovered during the restoration work. 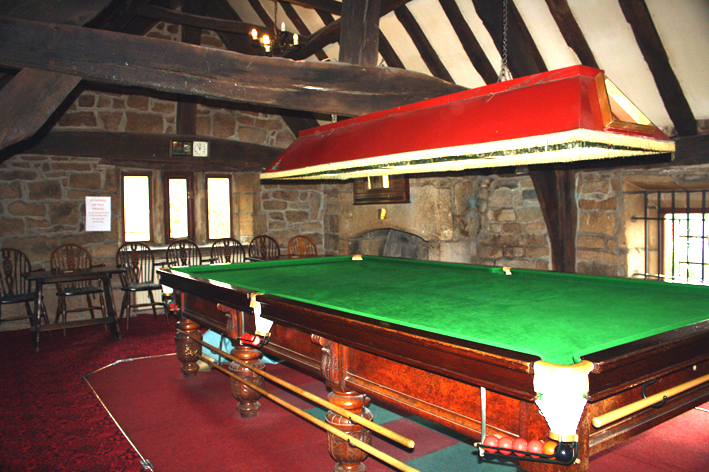 At present used as a Snooker and Games room with an Annual Games League fixture and Supper at the end of the year. 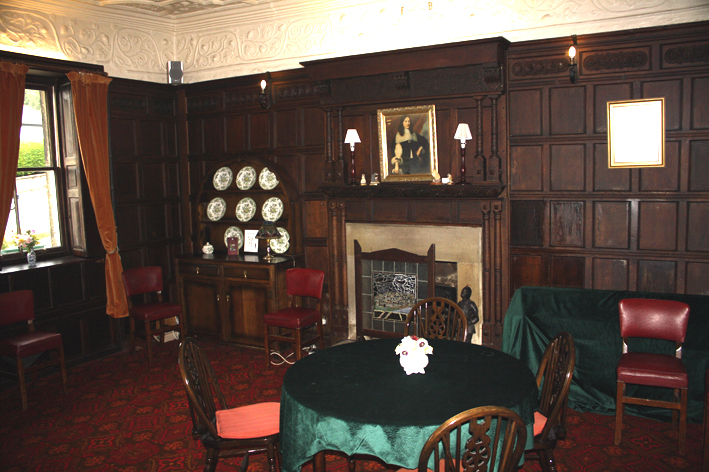 This was the family's main Drawing Room where they would keep the valuable furniture, silver, plates etc. 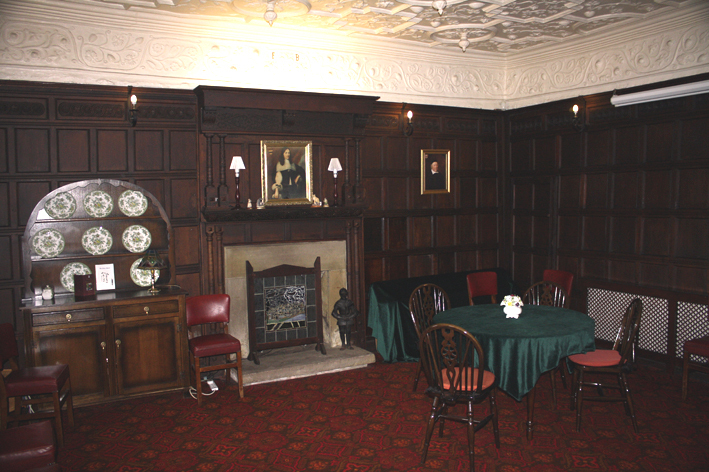 Unfortunately derelict up to 2007, the room has been restored to a high standard, making an ideal room for meetings and seminars etc. A wide screen projection service is available. 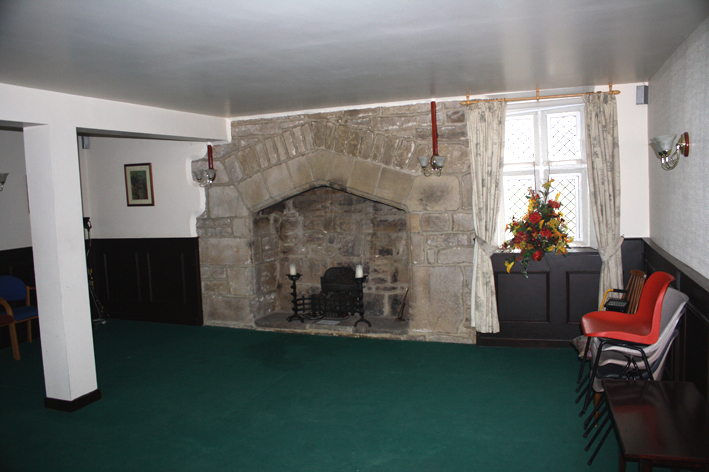 The beautiful fireplace was discovered hidden behind plaster when the room was being renovated.